Home Accessories The world's thinnest protective case is available with additional accessories for free! The world's thinnest protective case is available with additional accessories for free! Since today CAZE offers the world's thinnest protective case to iPhone users. 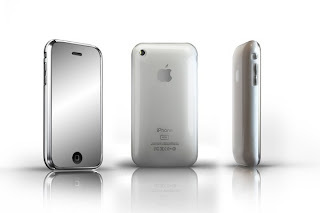 Just released case Zero 5 UltraThin Matte for iPhone 3GS/3G, developed by CAZE is 0.5 mm of thickness, light weight and completely unnoticeable when installed. Your iPhone's existing shape and outlook remains, and protection increases. In detail protection is increasing by extending the shell to wrap around the chrome edges and corners of iPhone. Additionally, Matte Black is a novelty to the Zero 5 family after Clear and Black. NOTE: You will get free-mirror screen protector, an anti-fingerprint screen protector and a wallet size iPhone stand if you buy the product. iPhone CAZE provides and designs high quality and fashionable cases, with wide range of materials: leather, fabric, silicone, swarovski crystal and etc.